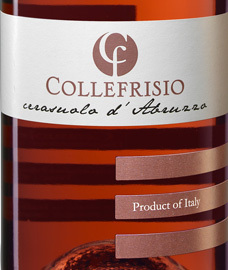 The Montepulciano grape from the Abruzzo region makes some of the best value Rosato wines in Italy and the 2016 Collefrisio is a case in point. There’s a sweet element on the nose that you often get with this hearty red grape with aromas of dried raspberry and cassis. Subtle complexity is presented in the form of sage, oregano and balsam herb. It’s a fun wine, but a wine with an approachable style and a high drinkability factor for the money.